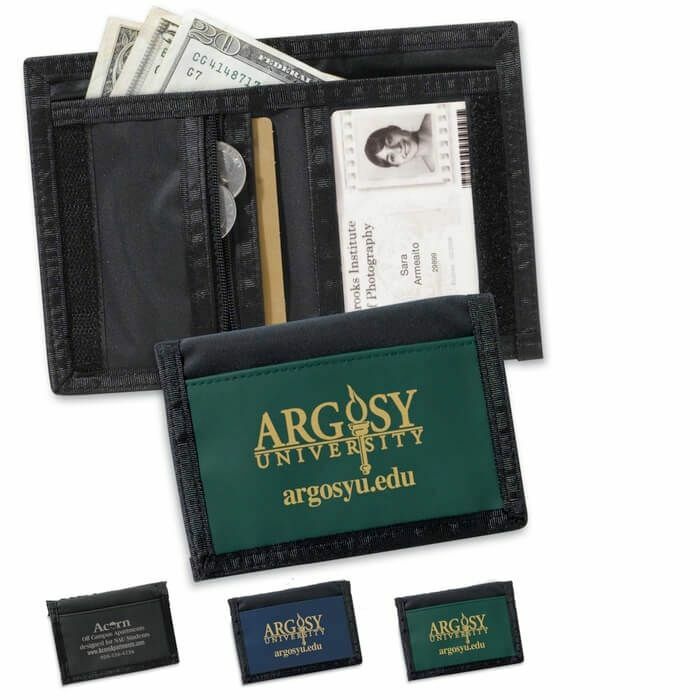 Pocket organizer with inside zippered pocket for coins. Clear pocket for ID. Full length pocket for bills. Wallet secures with velcro strips.